THOSE walking or driving up the Falls Road yesterday (Wednesday) couldn’t help but notice the centerpiece of Féile an Phobail taking shape as the massive festival tent is erected in the Falls Park. The countdown to Féile25 is well and truly under way and a huge festival tent – a familiar sight at outdoor festivals such as Glastonbury and Electric Picnic – will be the home to 11 days of live music and comedy in the heart of the West and a fitting venue for the biggest party we’ve ever seen. “Due to the overwhelming demand for tickets this year, we’ve had to increase the capacity for our gigs,” said Kevin. 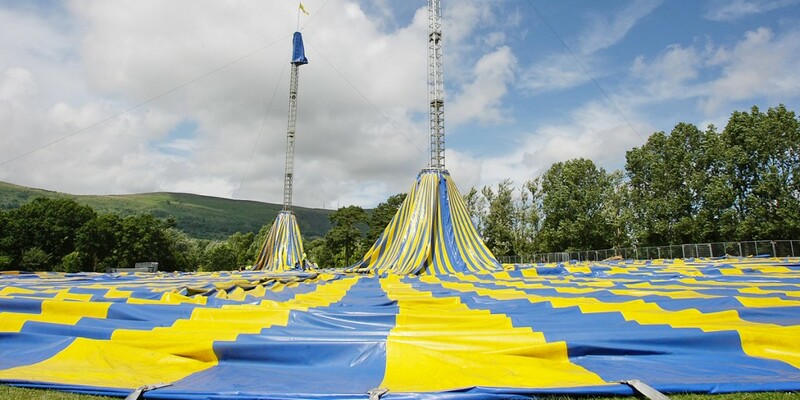 “These tents are really spectacular and it’ll be an amazing experience for people to witness the diverse likes of Patrick Kielty, LAPD, Happy Mondays, The Coronas The Wolfe Tones or The Beat under this spectacular canvas.